A candid look from within . . .
What makes Surgical Artistry different from most offices is that we have excellent customer service with knowledgeable staff. Our physicians both have Ivy League education which not only makes them extraordinary surgeons, but excellent teachers of medicine. Our office was created with our patients in mind, set in a beautiful, serene atmosphere. 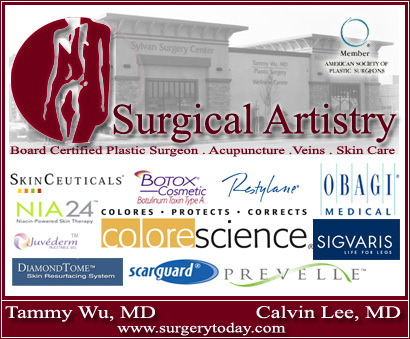 Surgical Artistry speaks for itself with our loyal and satisfied customers who keep coming back.